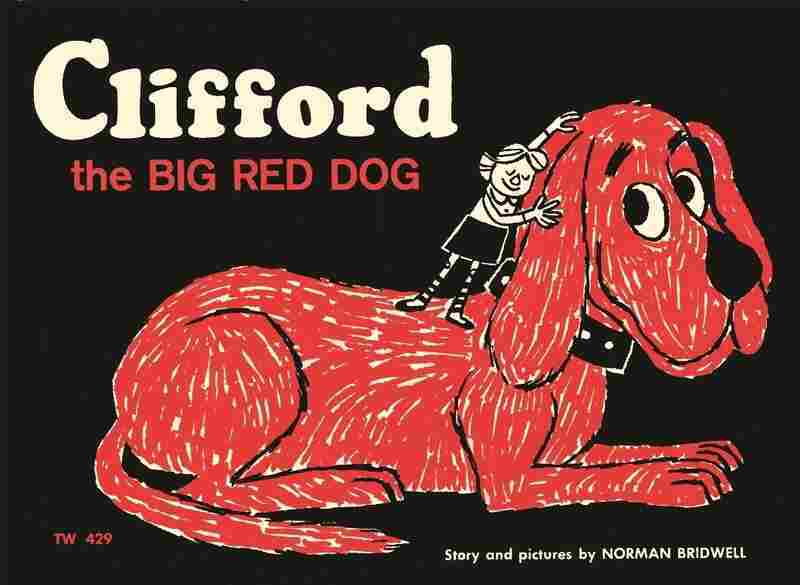 'Clifford The Big Red Dog' Turns 50 (In Human Years) A big dog has a big birthday this year: Norman Bridwell's beloved Clifford was born in 1962. Bridwell says he was "shocked" when it was accepted for publication. 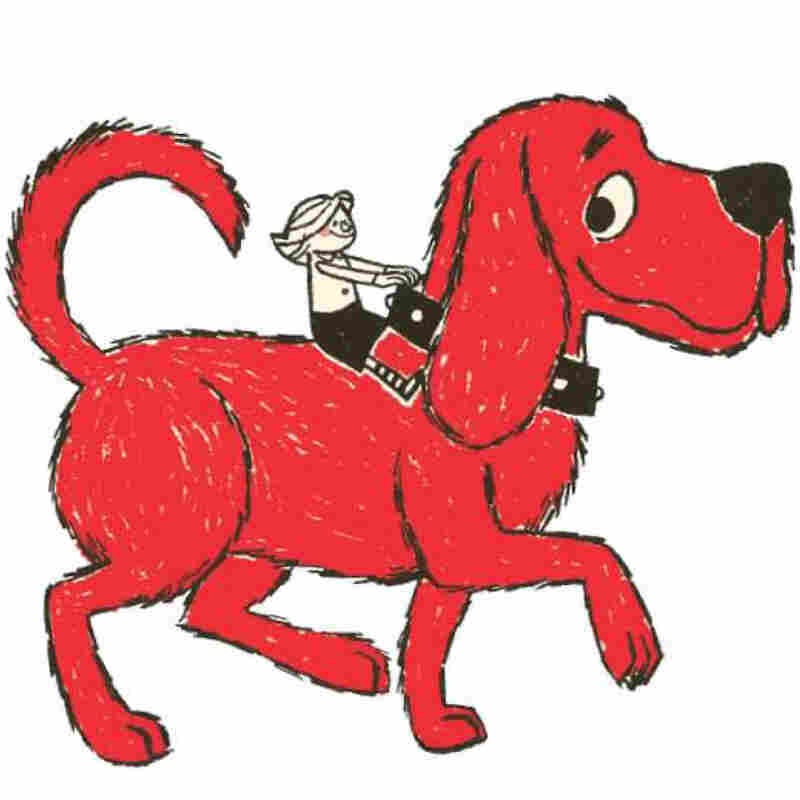 A big dog celebrates a big birthday this year: Clifford the beloved "Big Red Dog" first appeared on the literary scene 50 years ago, along with Emily Elizabeth, the little girl who loves him. It was 1962, and Norman Bridwell was a "struggling, not very successful artist in New York," he says. His wife, Norma, suggested that he try his hand at illustrating children's books. So Norman did 10 kid-oriented paintings and took them to publishers. He was rejected everywhere, except at one publisher, where a young woman told him he wasn't a very good illustrator, so if he wanted to illustrate a book, he'd need to write one on his own. Bridwell recalls: "She pointed to a sample painting I'd done, of a little girl with a gigantic red dog, and she said, 'Maybe that's a story.' And I went home, and over that weekend I wrote the story Clifford the Big Red Dog and was shocked when it was accepted for publication, because I'd never written anything before." His wife was also in shock. "I couldn't believe it at first," Norma says. "When I did realize it wasn't a dream, I said to Norman, 'You could write another book! Maybe you could write two or three books, who knows!' And his reaction was, 'Oh, no. This is just a fluke.' "
That "fluke" turned into close to 90 Clifford books that have sold more than 126 million copies in 13 languages. Clifford's animated series on PBS is seen in 65 countries around the world. 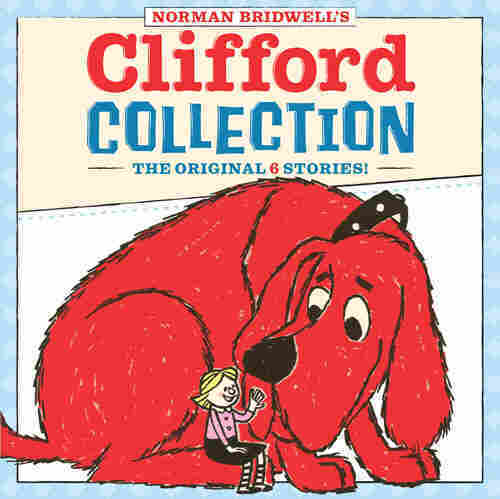 In September, Clifford's publisher, Scholastic Press, reissued the original stories under the title Clifford Collection. Norman Bridwell talks with NPR's Scott Simon on the occasion of his dog's 50th birthday. On Clifford before he was "Clifford"
"I started off calling him Tiny. And Norma said, 'Well, that's a stupid name for a dog like that.' And she went back to her childhood and took the name of an imaginary friend, Clifford, and gave it to the dog." "It has gotten more difficult over the years. Every time I think of an idea, I think, 'Well, that's kind of like the idea that I did a couple of times before.' And I'm running out of situations." "My first editor said: 'I'm not going to take Clifford soup. You can't throw him into a plot and stir him around and expect me to buy it. It's got to be something that is interesting and entertaining for children.' "
"I often tell young people who write ... 'It's not easy.' ... I was extremely fortunate. It's a very discouraging business sometimes, but the rewards are marvelous, especially emotionally." "We make a real effort to answer every letter. It's sometimes difficult, but I think if they care enough to sit down and write, I should give them an answer."